Burnley Borough Council has defended the costs of its mayoral car following criticism from the TaxPayers’ Alliance. The leased car, an Audi A6 bearing the valuable number plate HG1, has cost the borough £21,687 over the last three years. This figure included a lease of £18,263, fuel costs of £1,119 and maintenance costs of £2,303. Burnley’s costs were the fourth most expensive in Lancashire behind Wyre, Lancaster, Fylde and Blackburn with Darwen. Former Burnley Mayor Howard Baker, who held the ceremonial chains last year but no longer sits on the costs, defended the costs and said the car was an integral part of the Mayor’s civic duties. He said: “I think we have become a lot more careful with our spending. I remember the borough having a Rolls Royce and a Daimler as Mayor’s cars when I was growing up. Independent pressure group the Taxpayers’ Alliance recently criticised all local authorities for their spending on mayoral cars and suggested that councils should seek cheaper forms of transport. 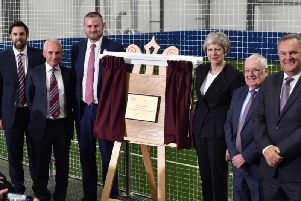 A Burnley Council spokesman said: “The Mayor acts as an ambassador for the borough, attending around 300 engagements a year meeting individuals, charities, businesses and other groups. “The council currently leases the Mayor’s car as leasing, rather than buying, is a more cost-effective way of providing a car for official duties.